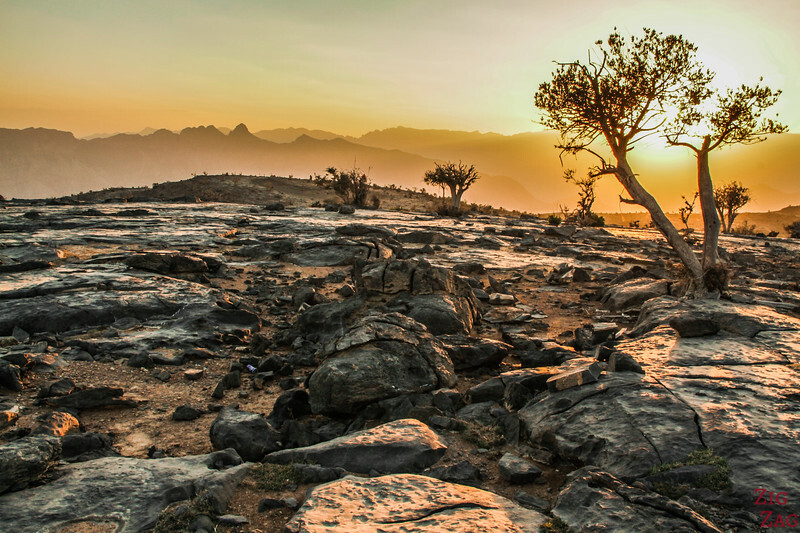 Jebel Shams Oman is the highest mountain in the Sultanate. 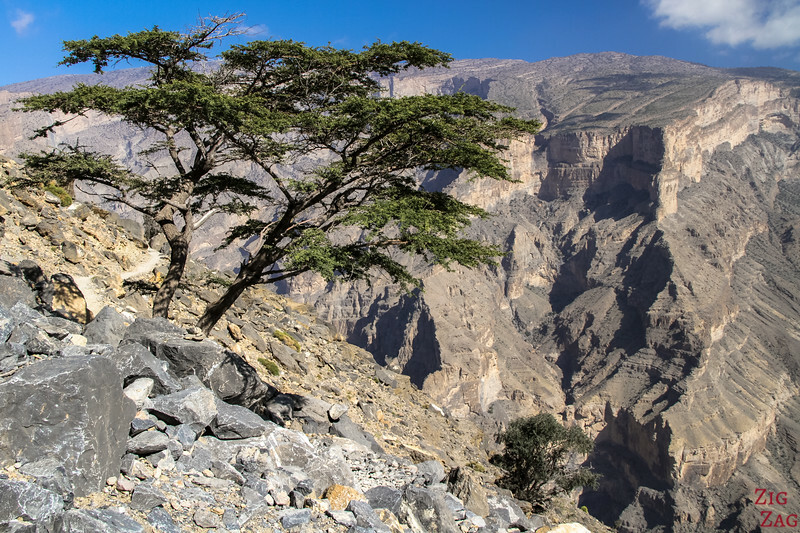 Its name is popularly given to the whole area including Wadi Ghul and Wadi Nakhr. 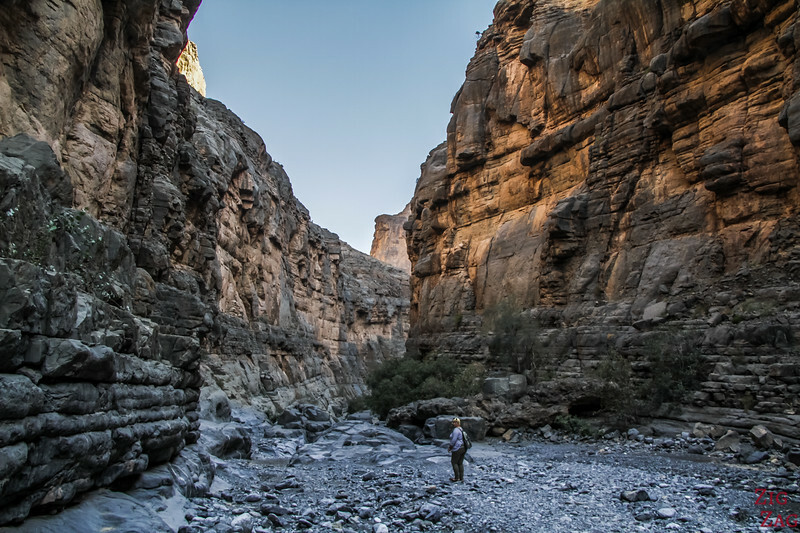 The narrow and deep gorge is one of the top places to visit in Oman, often called the Arabian Grand Canyon. It is difficult to capture how impressive it it, but below is my guide to help you plan your visit. 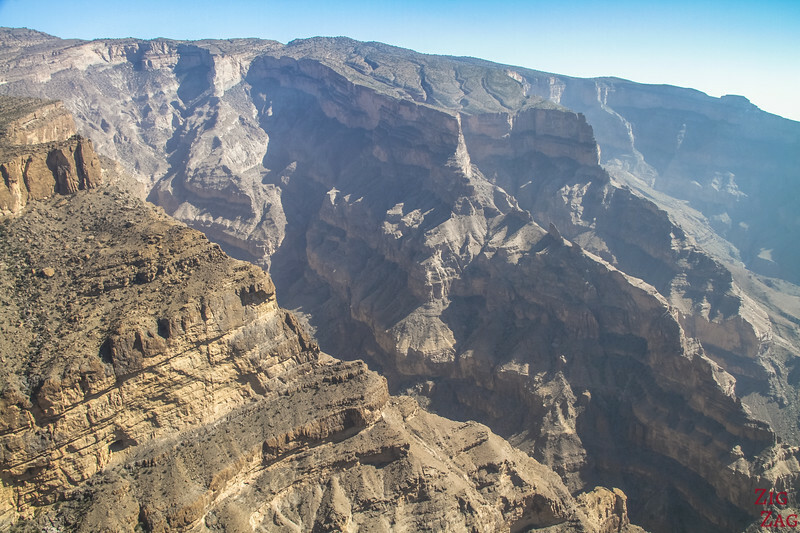 Let's start with a short video where you can discover the bottom of Wadi Nakhr and its high vertical cliffs, snapshots of the road up to the plateau and the views of the Jebel Shams Oman canyon from the top. 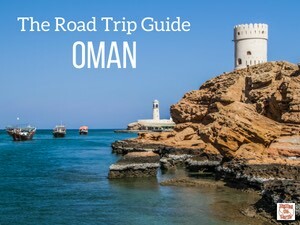 A great place to include in your Oman itinerary. See the section below on the road condition to reach the plateau. 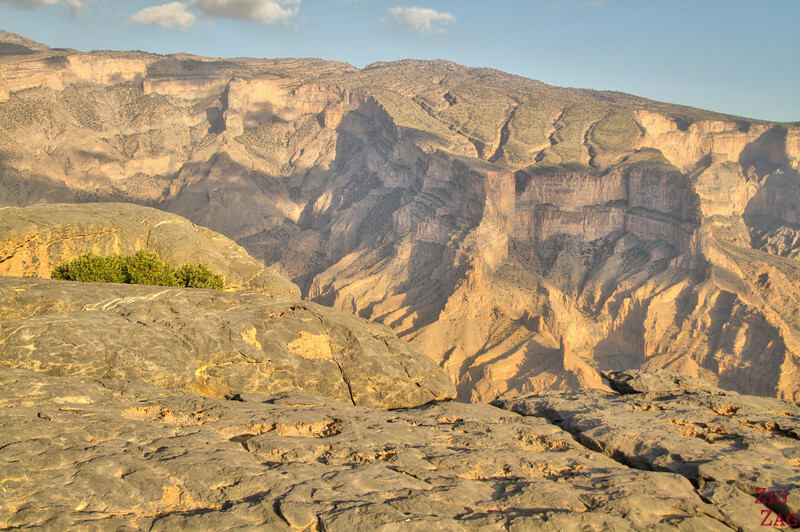 Jebel Shams is the highest mountain in Oman at 3009 meters. Access is not allowed as it is military ground. 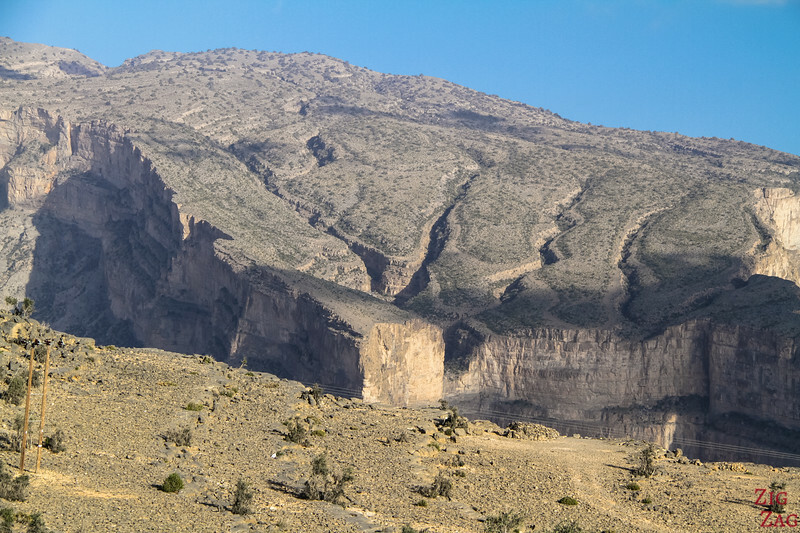 However a road can take visitors to the plateau with incredible views of the gorge (depending on book and Internet sources it is Wadi Ghul or Wadi Nakhr; considering the map I bought there and my observations I would say it is Wadi Nakhr). 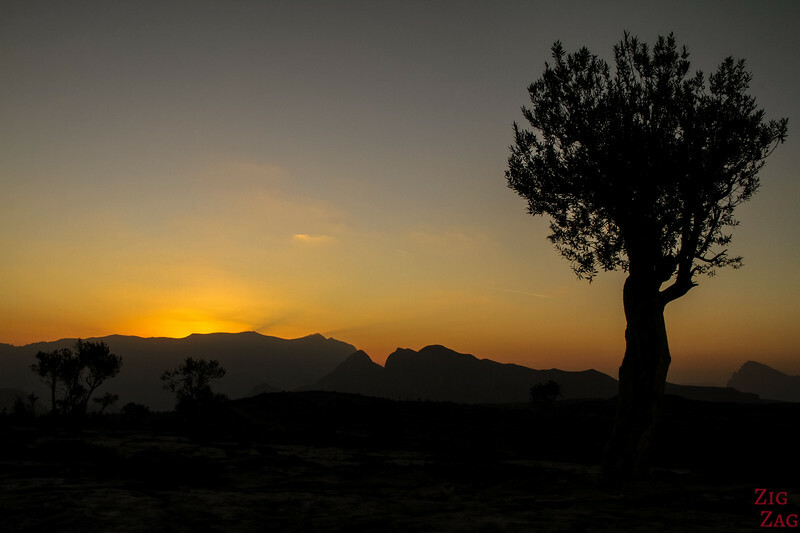 The plateau can be reached on a day trip or you can enjoy an overnight stay at one of the resorts. Except from those, you won't find much up there. 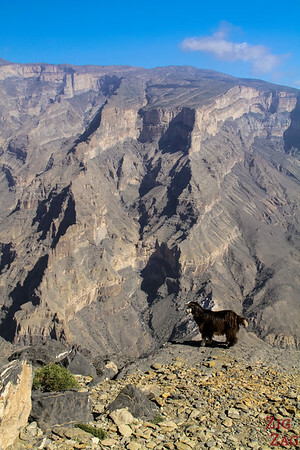 It is all open to enjoy the view with 1000m high vertical cliffs. 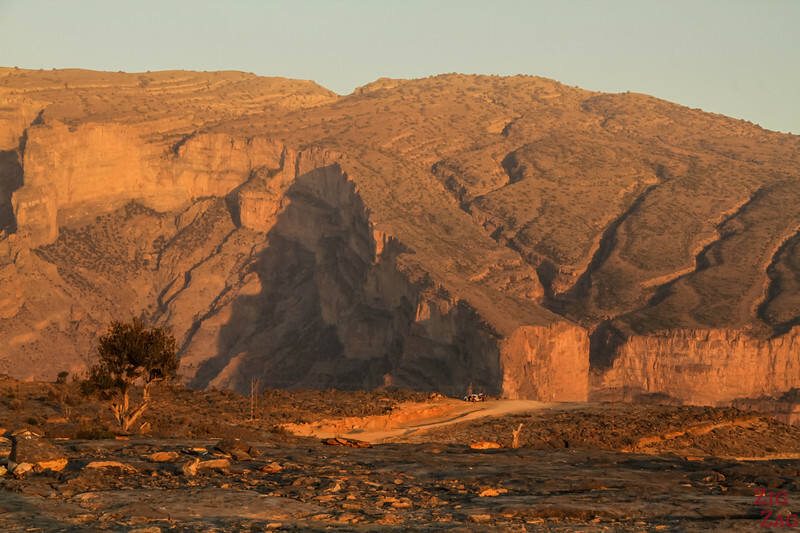 Although with the same limestone formation, the views are very different from Jebel Akhdar and its plantations. 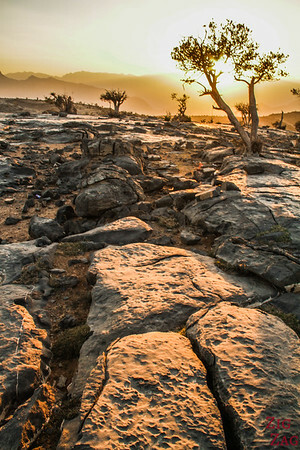 In Jebel Shams the terrain is dry. 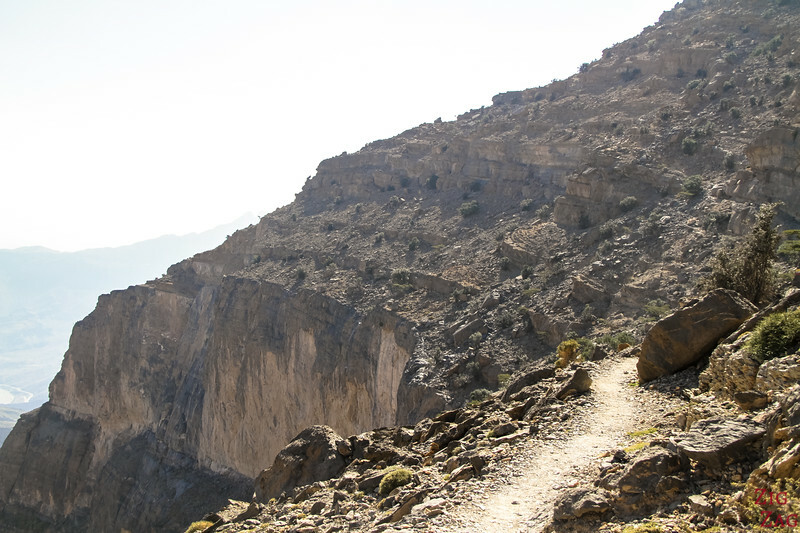 Before starting the climb to the plateau, my guide suggested a walk at the bottom of the gorge Wadi Nakhr. A discreet sign indicated a track to the village of A'nkhar. 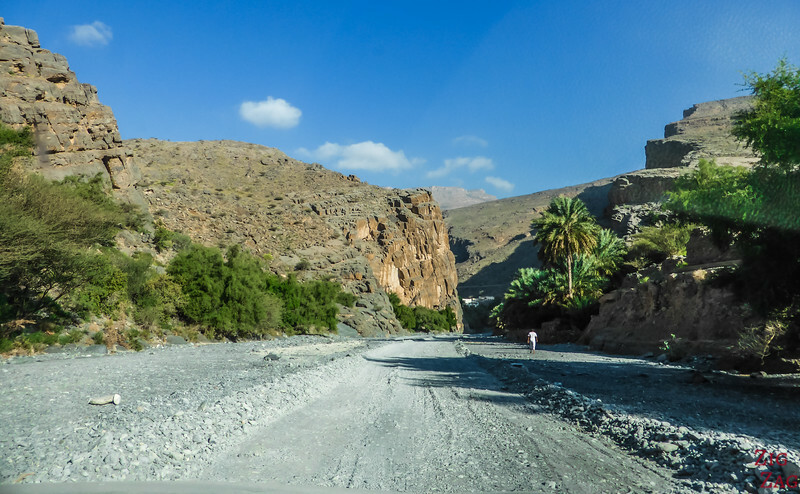 At the beginning the road was in very good condition but we soon discover that roads often have to be redone in wadis as water washed big boulders on the way. The end of the road for us. 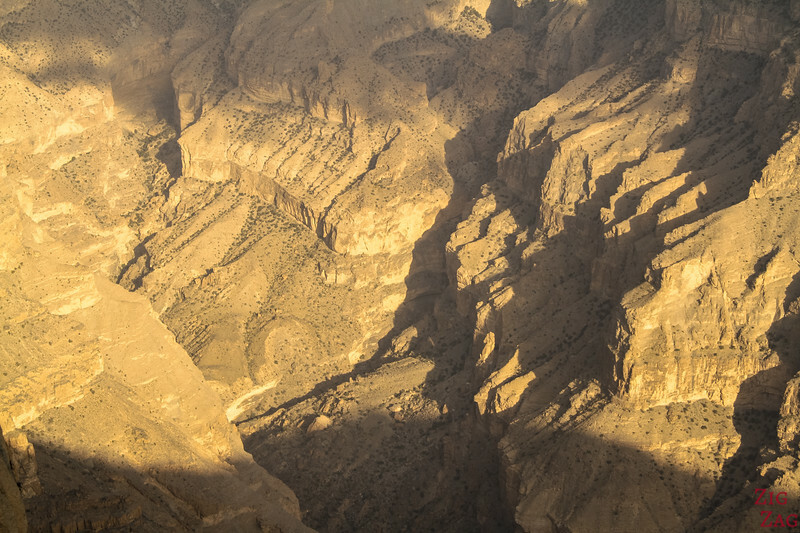 We continued the discovery of the Jebel Shams canyon on foot, almost alone (we just crossed path with the person working on the road and a local family). 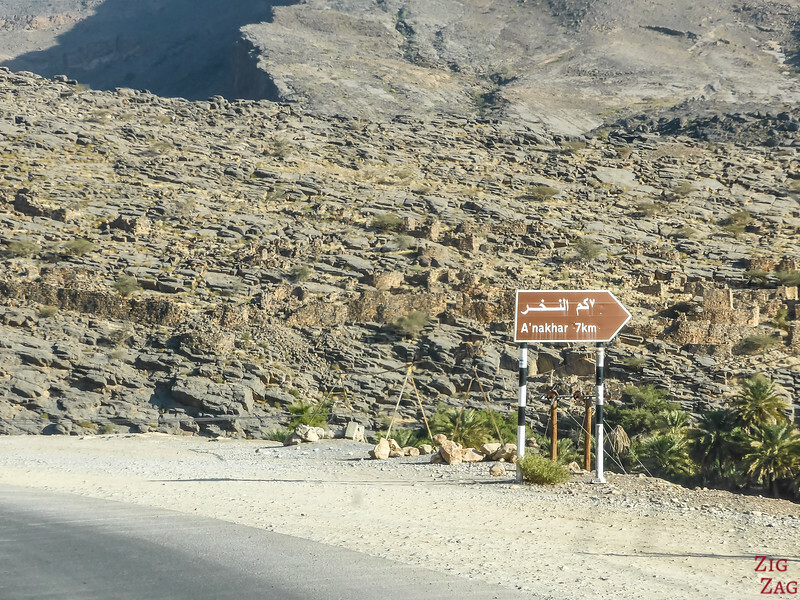 The road to Jebel Shams Oman climbs steadily up to the plateau. Most of it is paved and in good conditions. Towards the end there are 7 kilometers which as of December 2015 are still unpaved. When I took it, it was an easy drive however rain can change road conditions drastically to be careful. 4WD is not mandatory to get up there but strongly recommended. 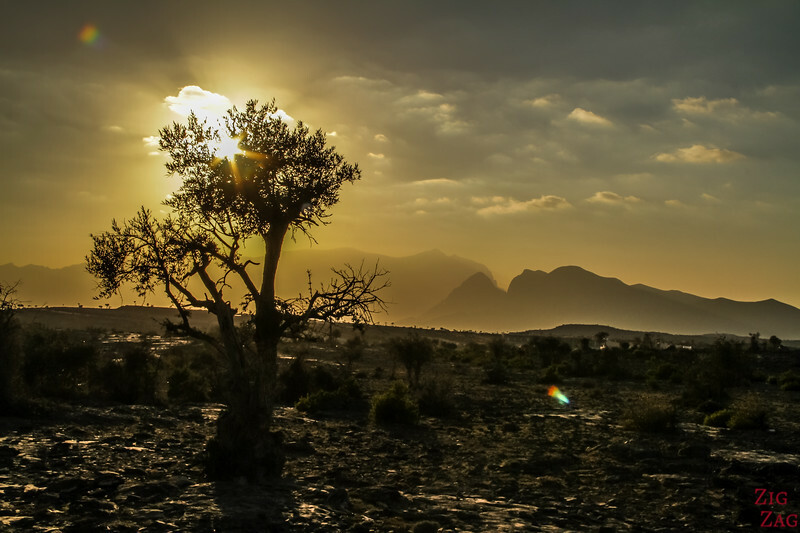 First you will reach the Jebel Shams Height Resort and at the end of the road you will find the Jebel Shams Resort. In between is a sort of viewing platform and across from it local women are selling crafts. It is already impressive from there and the only "protected" area for those with vertigo. 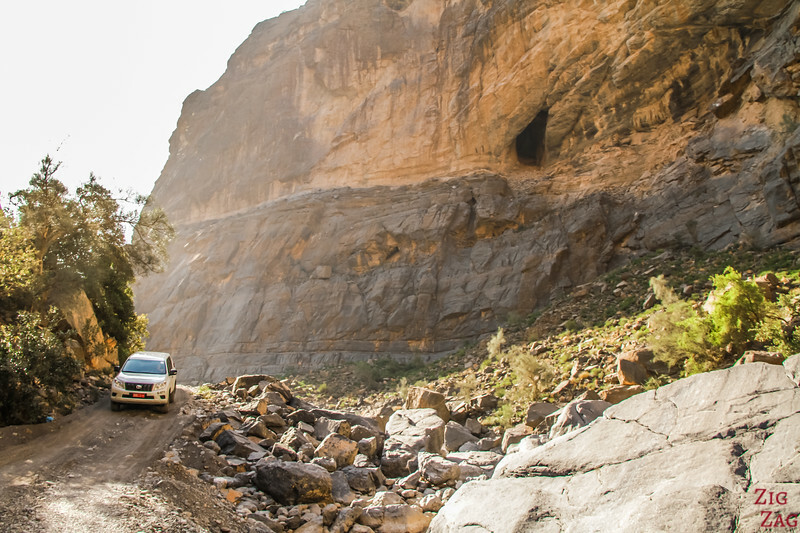 The road stops at the Jebel Shams resort but you can continue on a track to a couple of houses in a place called Al Khitaym. 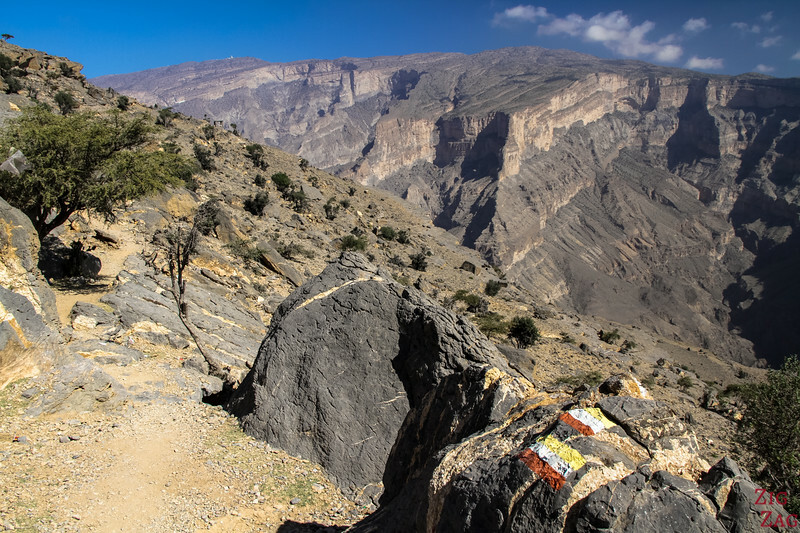 This is the departure point of the Jebel Shams Balcony walk, a portion of the W6 hiking trail that takes you alone the canyon but not at the top. The full balcony walk is a 4hour return hike indicated with the red/white/yellow painted flag. I did only half of the whole length. The part I did was not technically difficult but that huge drop on the side made me quite dizzy so I did not feel strong enough to go further. 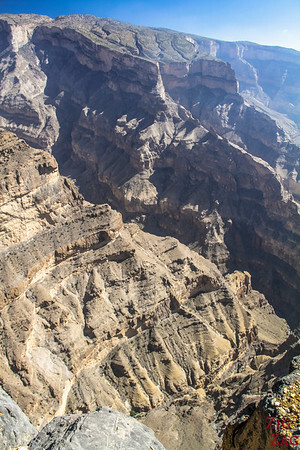 This is a spectacular walk but not for people with vertigo. I must admit that the views were pretty incredible, especially as you reach some kind of flat platform in the middle of the walk. You will likely cross path with goats who play daredevil. After this emotional walk I rested in my room and then decided to go for a walk. 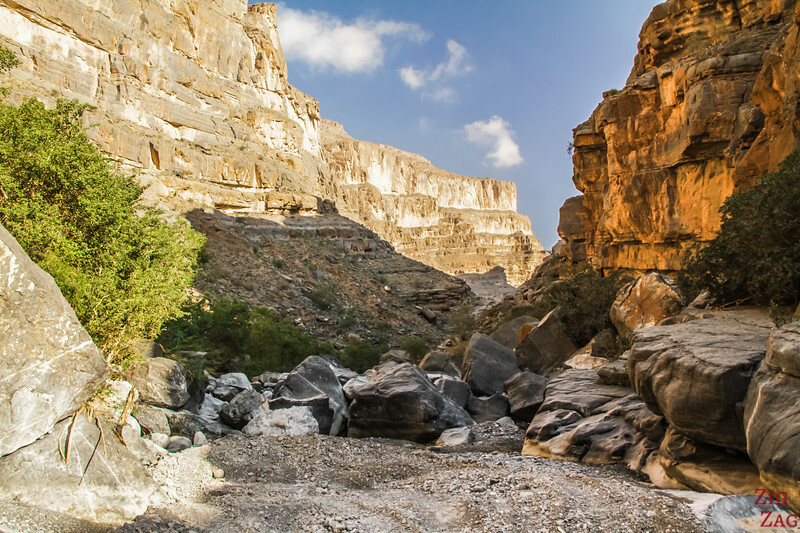 From the Jebel Shams Resort I just crossed the road and walked straighten towards the canyon. The sun was getting down I shadows were appearing. 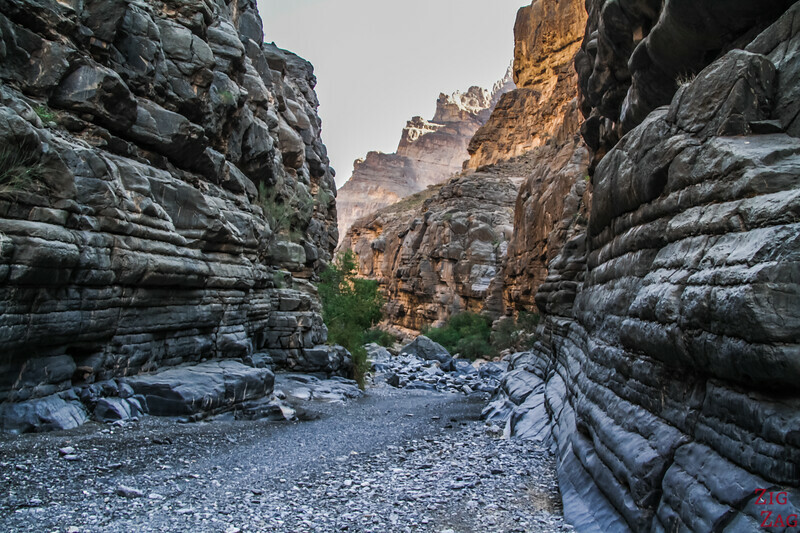 I stayed at the Jebel Shams Resort, which is the last one on the road up to the canyon. From there you can walk around on the plateau all the way to the canyon. 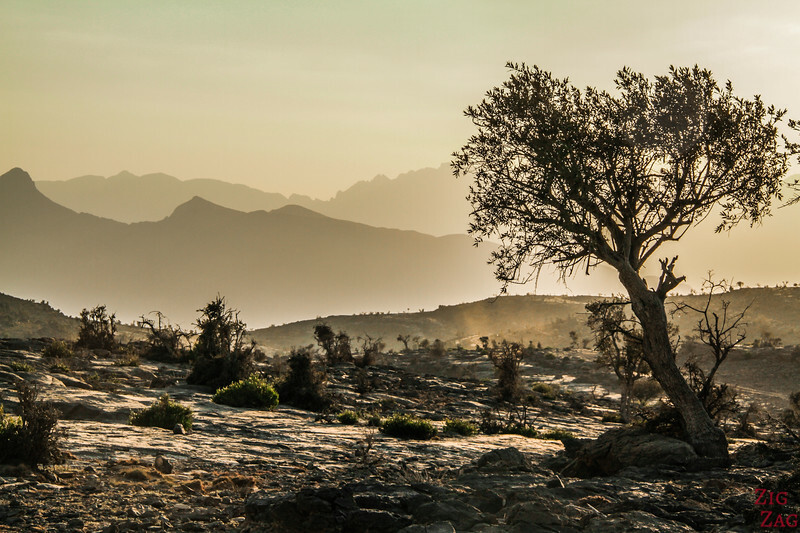 Location: There is nothing else on this plateau, just you and the mountains. 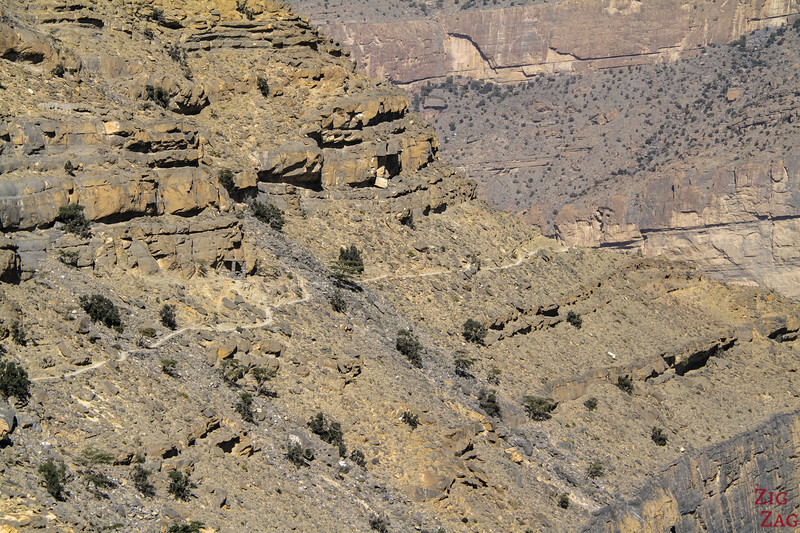 10/15 min walk to the rim of the canyon. State: Clean and very spacious rooms. Common area for with buffet lunch, dinner and breakfast. not good wifi (of course, considering the isolation). The pool was being cleaned when I was there. Check-in: Nice staff. No issues. Breakfast: The buffets are all quite nice. 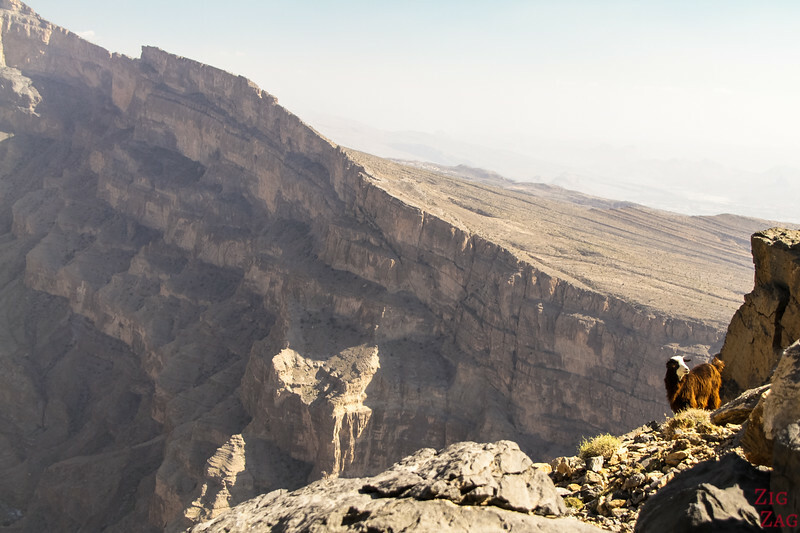 If the Jebel Shams Resort is full, not far is the Jebel Shams Height Resort. As the sun went down I left the canyon which was getting dark and impossible to photograph and took the direction of the sun hoping for a nice sunset place. I took a track getting a little higher than the resort and sat down to enjoy a peaceful sunset. 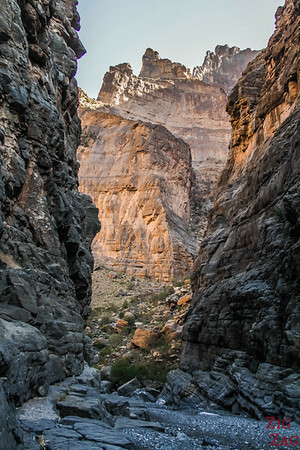 Do you enjoy walking along deep canyons?